TODAY, THE SMARTEST WAY TO DO THE BOOKKEEPING AND PAYROLL FOR YOUR SMALL BUSINESS IS NOT TO DO IT. We make it so easy! Simply send us bank statements and cancelled checks on a monthly basis. We convert that data into easy-to-understand financial statements that tell you exactly how your business is doing. We set you up with your very own secure ezCFO virtual online office where we host your QuickBooks file and virtual filing cabinet. Then each month we reconcile your accounts and review your accounting. Again, so easy! This is the perfect plan for business owners who want to get to the next level and focus solely on their business and leave the bookkeeping to us! We do it all for you, while you run the business. A growing business often reaches a point where you need sound financial guidance, but you don’t quite need a full-time CFO yet. That’s where we come in, with our CFO Service your problem is solved, at a fraction of the cost of hiring a full-time CFO. Hey, they don’t call us ezCFO for nothing! With Ezcfo, your business now has access to an online HR Support Center for your employee relationship needs. 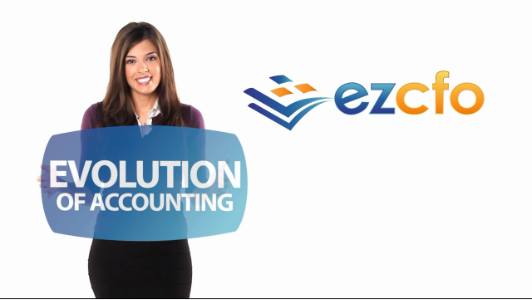 Ezcfo’s payroll service makes paying your employees easy! From our full-tax service to direct deposit, we can save you time and money today! Outsource your accounting department and payroll to EZCFO America’s favorite small business accounting services and payroll company. Enjoy access to an entire team of experts without the expense of having full-time employees. You want to grow your small business, and we can help. When you have an accurate picture of your finances, you’ll be able to run your business with the information and mental clarity you need to make smart and timely business decisions. So you’ll be able to achieve greater growth and profitability. Aug 16, 2012 What Size Should Your Accounting Department Be? Ah, your credit score… a number that controls so many aspects of your financial life. 100% Money-Back Guarantee. If you’re not completely delighted with our small business accounting services after one month, we’ll refund our fees. Completely. No questions asked. I don’t know where I would be without ezcfo. Before, my back-office was chaos. I never knew how much money I actually had, but thanks to ezcfo I know exactly what’s going on with my company’s financials! The experts at ezcfo helped us make smarter business decisions which has led to exponential growth for our company. They started as our bookkeepers, then our accountants, and now they’ve become our CFO!